Thanks to @ASTSCHIMERA for the opportunity to present our data the ASTS winter symposium on medication adherence. What an amazing opportunity to showcase the educational component of Transplant Hero! Come see us present our data regarding medication adherence and education with the use of Transplant Hero in abdominal transplant patients. The East Coast is finally starting to get cold and the ASTS winter symposium is a perfect excuse to come to Miami. The poster will go up today and be presented tomorrow. I am so happy and proud to offer this release. 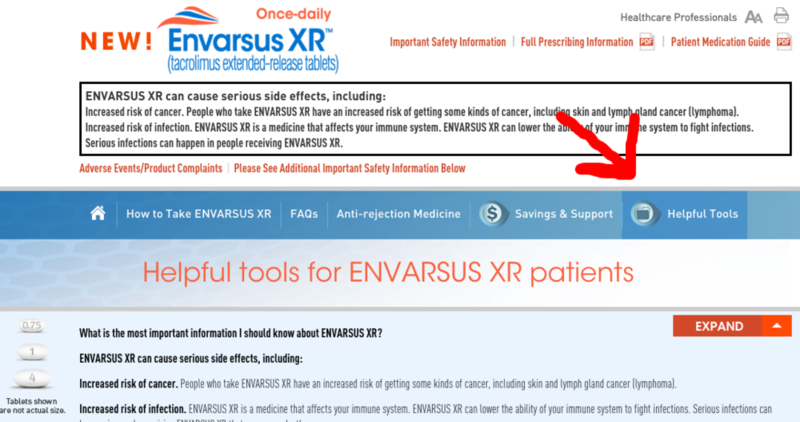 ...with the release of Astagraf XL and EnvarsusXR (once-a-day pills), the future has never looked brighter for Transplant Heroes who struggle with taking so many medications. Android Version Coming --Spring 2016 ! While we will release a new version of Transplant Hero on iOS in 3 weeks, I am exited to announce that spring will bring the first Android version of Transplant Hero! Presenting Transplant Hero Today at the Liver Meeting! 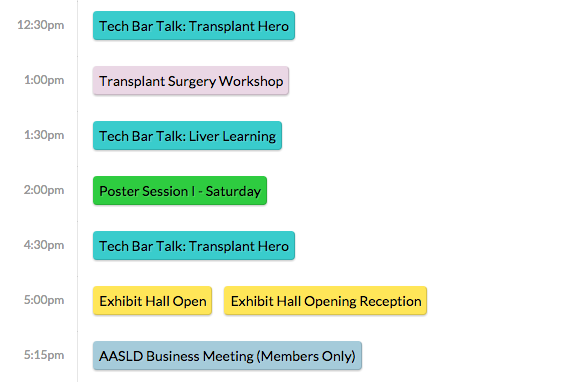 I'll be there presenting Transplant Hero @ 12:30p and 4:30p. Come say hello! New version of Transplant Hero will be available in early December ! This new version of Transplant Hero will have many new features including the addition of prophylactic medications and the ability to add your own medications! More importantly, thank you for all of your emails! I think this newer version will address many of your suggestions that will improve Transplant Hero. Transplant Hero to be presented at the ASTS Winter Symposium! Please check out our abstract once it is published by ASTS that details an early experience with Transplant Hero in abdominal transplant patients. American Society of Transplantion Features Transplant Hero ! It has been a while since my last post, but I am happy to announced that Transplant Hero has been featured on the Patient Information link on the AST website. As we all know, AST strives to be the trusted source of information related to transplantation. It is truly an honor to be associated with such a prestigious organization that puts patients first. Despite the ongoing success of Transplant Hero, users should expect a major revamp by the end of summer. Feedback from some of the 300+ plus users has been amazing and we should be implementing some of these suggested changes to better the experience. Transplant Hero Featured in Transplant Times ! It is truly humbling to contribute to the latest edition of Transplant Times. This newsletter represents what is so uplifting about the transplant community. Created and published by the Transplant Awareness Organization, this group is a vibrant collective of individuals that works to empower, educate and support each other! Hopefully, this article facilitates discourse throughout households about medication adherence in general. New Version of Transplant Hero Available ! This is a small but useful update with minor improvements and bug fixes. Enjoy version 1.4 and stay tuned for more updates as well roll into summer! Transplant Hero Keeps Growing !!! 200 + unique users and growing !!! A big thank you to all of the people who have downloaded Transplant Hero. The newest version of Transplant Hero should be available by next week with improved logic to enhance your user experience--so stay tuned! Transplant Hero Featured on the Patient Resources for ASTS !!! It is so humbling to have Transplant Hero featured on the Patient Resources page of the American Society for Transplant Surgeons (ASTS). The ASTS has been at the forefront of advancing the profession to better serve our patients. Hopefully, ASTS can help spread the word about Transplant Hero in keeping with it's ethos of bettering patient care. Essentially, I made Transplant Hero to help patients and even if it prevents one graft loss or rejection--it was well worth it! You can now enter in different doses for the AM and PM ! I am exited to announce that with the new update of Transplant Hero you can enter in different doses for twice daily medications for the morning and evening! Download version 1.3 on the App Store and let me know what you think. Burning questions about the "ins and outs" of Transplant Hero? Visit the FAQ section on the website. Moreover, if you have any questions that aren't addressed, feel free to leave them in the comment section. Transplant Hero Winner of the Best Mobile Apps Award !!! We weren't REJECTED :) Transplant Hero has won the Platinum Award for Best User Interface from the Best Mobile App Awards. This is truly honor and we thank the committee for their consideration. More importantly, I hope that Transplant Hero can offer some assistance to the real winners who endure so much....the transplant patients!